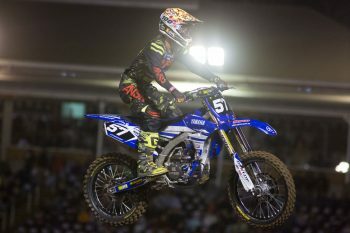 Richardson races to dramatic SX2 final win for Serco Yamaha. Image: Jeremy Hammer (Foremost Media). American Justin Brayton captured a second-consecutive 2016 Australian Supercross Championship victory at Toowoomba Showgrounds in another commanding performance from the Honda Genuine Racing rider. Brayton worked his way to the front of the field in the mid-stages and took control from there, crossing the finish at the end of 20 laps with a 2.073s buffer over countryman Wil Hahn (National Pump Monster Energy Kawasaki Racing). It was another spectacular showing from MX Nationals champion Dean Ferris (CDR Yamaha) as top Australian in third, getting the better of another US rider in Kyle Peters (KTM Motocross Racing Team, who led the race at one stage. Out of retirement, Jay Marmont ride his privateer MXR&D-supported Husqvarna to a fine fifth-place finish, from Kade Mosig (National Pump Monster Energy Kawasaki Racing Team), Adam Enticknap (Honda Genuine Racing), Jay Wilson (Crankt Protein Honda Racing), Luke Wilson (Wilsons Coolair Motul Suzuki) and Lawson Bopping (DPH Motorsport Yamaha). Defending champion Dan Reardon’s (CDR Yamaha) title chances took a hit when he crashed in the closing laps, bumping him back to P11 in a frustrating finish to his round. The early stages of the final were led by Todd Waters (Wilsons Coolair Motul Suzuki), however he crashed out of the lead and then again, unfortunately putting him out of the race altogether. 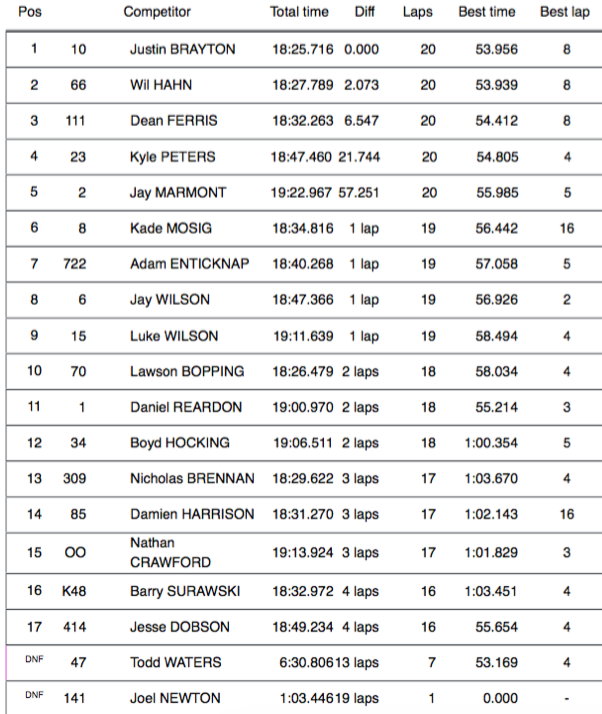 Serco Yamaha’s Jackson Richardson has won the SX2 main event, maintaining his advantage over runner-up Hayden Mellross (DPH Motorsport Yamaha) for a 4.234s victory at the end of 15 laps. 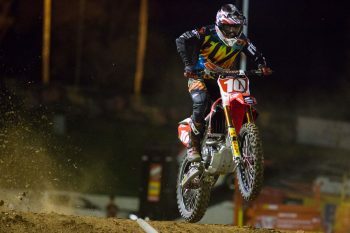 Richardson took charge when early leader Gavin Faith (Penrite Honda) crashed out of contention heavily on lap one and was never headed, keeping the in-form fellow US-based Mellross at bay, while Honda-mounted local privateer Geran Stapleton completed the podium. It was almost a YZ250F sweep of the rostrum as Wade Hunter (Serco Yamaha) recovered from a fall of his own for fourth, followed by Nathan Crawford (Husqvarna), who made a positive return to racing inside the top five. 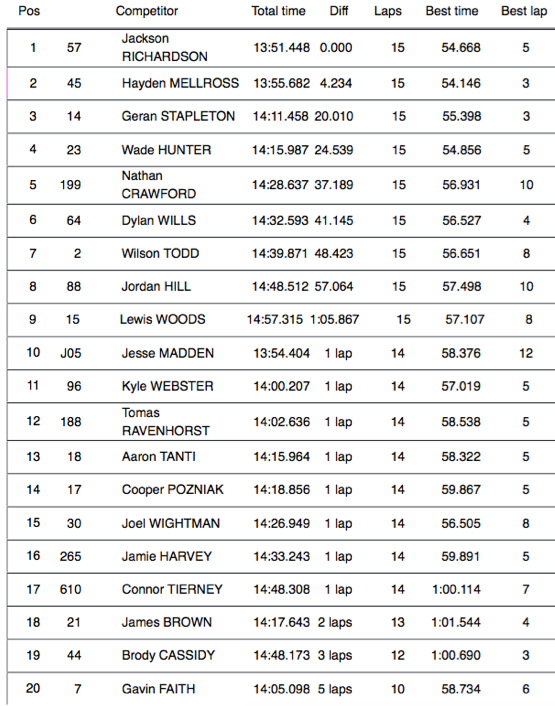 The top 10 was completed by Dylan Wills (Raceline Pirelli KTM), Wilson Todd (Serco Yamaha) in his first ride of the year, Jordan Hill (Yamalube Yamaha Racing), Lewis Woods (KTM) and Jesse Madden (Raceline Pirelli KTM). With Faith finishing five laps down in 20th and defending champion Jimmy Decotis (Honda Genuine Racing) bowing out of his heat, the championship’s blown wide open after just two rounds of the season – Mellross the new red plate holder in the series.